Happy 2019 everyone and lots of lovely reading! What better way to end my year's reading than with an excellent novel in a much loved series by a much loved author? I was worried that I wouldn't remember enough of what happened in the previous title in the series, which had brought Armand Gamache to his current situation, suspended from his position of head of the Sûreté du Québec. But the author takes such good care of the reader, with gentle reminders and subtle re-capping. As with so many books in the series, we have a dual headed plot. 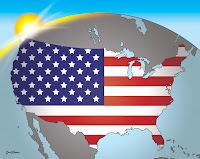 At the end of the previous novel Gamache had taken the decision not to prevent the release of a new drug into North America and Canada. The cartel which has possession of the drug has not yet released it and Gamache has been suspended and is undergoing investigation. Most of the drug shipment has been recaptured but there is still some in Montreal still to be found. Its release will have disastrous consequences. 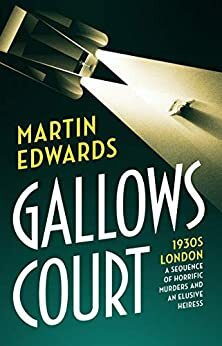 Almost a light relief, the second main plot sees Gamache and two others named as "liquidators" (executors) in the will of a woman whom he is convinced he has never met. "Baroness", Bertha Baumgartner, has left a bizarre will, based on a family legend that involves millions, some property, and a title, none of which seem to exist. In the process of investigating the background to the will, Gamache uncovers embezzlement and corruption at breathtaking levels. An excellent read. I'm not sure whether there will be another in this series. If not, what a fitting conclusion! As you'll see from the list below, I have read all the novels in this series. My recommendation - read them in order! You won't regret it. My average rating is just under 5.0. Part of what has kept me reading the series is the excellent characterisation. Each of the characters has been built up carefully with wonderful descriptions, not hte least Gamache himslef. The above were read before this blog was begun. The winter of 1139 will disrupt Brother Cadfael's tranquil life in Shrewsbury with the most disturbing events. Raging civil war has sent refugees fleeing north from Worcester. 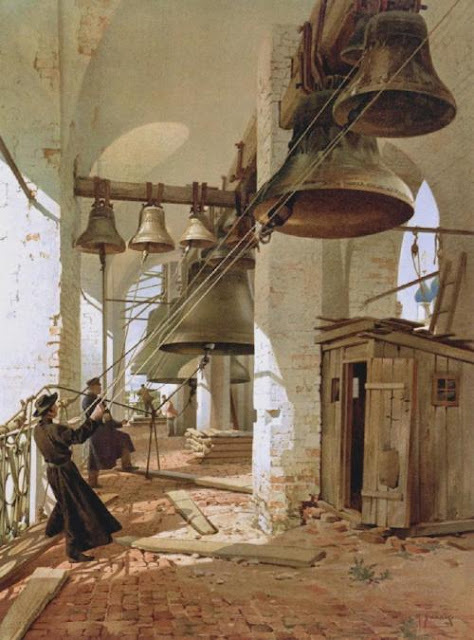 Among them are two orphans from a noble family, a boy of thirteen and an 18-year-old girl of great beauty, and their companion, a young Benedictine nun. But the trio, never reaching Shrewsbury, have disappeared somewhere in the wild countryside. Cadfael feels afraid these three lost lambs, but another call for help sends him to the Church of Saint Mary. A wounded monk, found naked and bleeding by the roadside, will surely die without Cadfael's healing arts. Why this holy man has been attacked and what his fevered ravings reveal soon give Brother Cadfael a clue to the fate of the missing travelers. Now Cadfael sets out on a dangerous quest to find them. The road will lead him to a chill and terrible murder and a tale of passion gone awry. 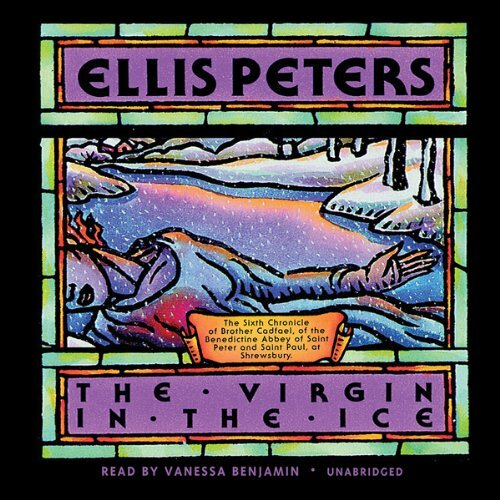 And at journey's end awaits a vision of what is best, and worst, in humankind...in Ellis Peters's most stunning depiction yet of love and war. If you've not yet embarked on these historical mysteries, take my advice and read them as far as possible in publication order. That way you will be aware of political developments on the larger canvas of the Maude/Stephen civil war, and also of character development within the novels themselves. A group of three has disappeared on the way from Worcester to Shrewsbury and there is an alert out for them. To make matters worse the weather is getting cold and the snows are coming. Bands of brigands are roaming the countryside, and travellers are not safe. 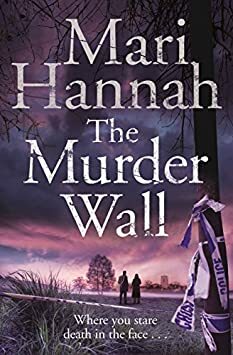 Anna is renovating a house in Paddington in Sydney, left to her by her grandmother when the builders find some intriguing objects sealed up in the wall. Anna has a gardening business, and has a "botanical" background. Intrigued by what she has found she tries to find out something about their provenance. As she reaches back in history, so the other narrative in the story reaches forward. The second chapter takes us to Cornwall in 1886, where, at Trebithick Hall, Elizabeth's dying father requests that she goes to Chile, to carry out a task that he had intended to do himself. Kayte Nunn is a former book and magazine editor, and the author of two contemporary novels, ROSE'S VINTAGE and ANGEL'S SHARE. THE BOTANIST'S DAUGHTER was Kayte's first novel of transporting historical fiction, followed by THE FORGOTTEN LETTERS OF ESTHER DURRANT, set largely in the atmospheric Isles of Scilly. The plot pattern of this book is very similar to the earlier two in the series: a work of fiction set in a historical background, embedded in an enormous amount of research. The reader time travels from Star's current life to the past. 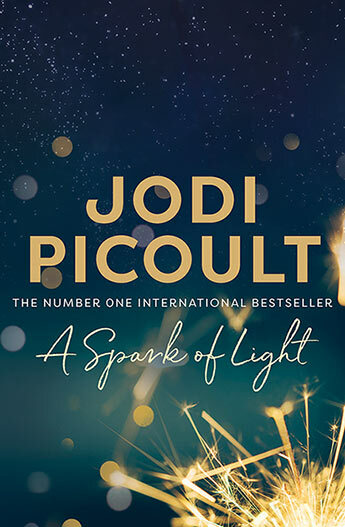 Once Star decides to follow the clues that Pa Salt has left her about where she was born and her familial history, then her life is changed forever. Other people in my reading group who have been progressing through this series seem to have been able to move on from one book to another almost straight away. But, as at the end of the previous two, I now feel that I need a little bit of a rest. THE SHADOW SISTER is a long book and demanded concentration so that I got all of the plot elements in place. One of the disadvantages of not going on to the next book in the series will be, as I have found with the earlier two, that some of the finer details will drop out of my memory. Having said that, I found this a compulsive read. I read it on my Kindle, which helpfully told me how much further to the end of the chapter, and I found myself reluctant to put the book aside with a chapter unfinished. If you are contemplating beginning, then you must read the series in order! You will note also that I have labelled it "not crime fiction." There is an interesting blend of historical detail in the story, but not really political history. The remains of an ancient princess and her entourage are to be unveiled as the centerpiece of the museum's new Egyptian collection, but strange occurrences have followed their arrival in Britain: a dead body is discovered in a previously empty sarcophagus, one of the mummified bodyguards seemingly goes 'walkabout' and another man is found strangled to death with three-thousand-year-old bandages. Aided by the talented resident archaeologist Abigail Fenton but hindered by the dismissive local police force, can Wilson unravel the mystery and preserve the reputation of the museum ahead of its public launch? There is a comfortable almost old-fashioned feel about this book set in Cambridge at the end of the nineteenth century. A body has been found, recently murdered, in a sarcophagus in the Egyptian room at the famous Fitzwilliam museum. The manager of the Museum decides to use a private enquiry agent, Daniel Wilson, a young man who became famous as part of Scotland Yard's Abberline team who solved the Ripper case. (There is some back story here as the principal members of that team have now left Scotland yard and are all working as private detectives). The investigation into the murder brings Daniel into contact with Abigail Fenton who discovers the body. The story proceeds at a good pace, another two murders occur, but I found it a relatively unchallenging read. Perhaps attractive to those who look with nostalgia at the Golden Age who-dunnits. 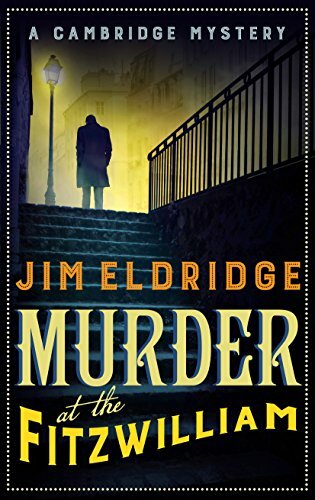 Jim Eldridge has had a long writing career but this appears to be the beginning of a new detection series, with two more titles promised in 2019. This is the debut novel in what is quite a long series (see below). I read DARK WATER first and that made me determined to follow this author, and indeed I plan to read all the series. This debut novel begins with Detective Erika Foster returning to work, so there is quite a bit of back story to catch up on. In some ways it is typical police procedural with plenty of noir thrown in. At one stage Erika crosses her boss who is having strings pulled by some influential people, and she is taken off the case. Erika feels an obligation to the victims she has discovered and continues her investigation unofficially, putting herself in great danger. Robert Bryndza was born in the UK and lived in America and Canada before settling in Slovakia with his Slovak husband Ján. His debut novel The Not So Secret Emails of Coco Pinchard became an Amazon bestseller. When he's not writing Rob is learning Slovak, trying to train two crazy dogs, or watching Grand Designs all in the hope that he'll be able to understand his mother-in-law, build his dream house, and get the dogs to listen. Setting out for the Saint Giles leper colony outside Shrewsbury, Brother Cadfael has more pressing matters on his mind than the grand wedding coming to his abbey. Yet as fate would have it, Cadfael arrives at Saint Giles just as the nuptial party passes the colony's gates. He sees the fragile bride looking like a prisoner between her two stern guardians and the bridegroom, an arrogant, fleshy aristocrat old enough to be her grandfather. And he quickly discerns this union may be more damned than blessed. Indeed, a savage murder will interrupt the May-December marriage and leave Brother Cadfael with a dark, terrible mystery to solve. For the key to the killing - and a secret - are hid among the lepers of Saint Giles. 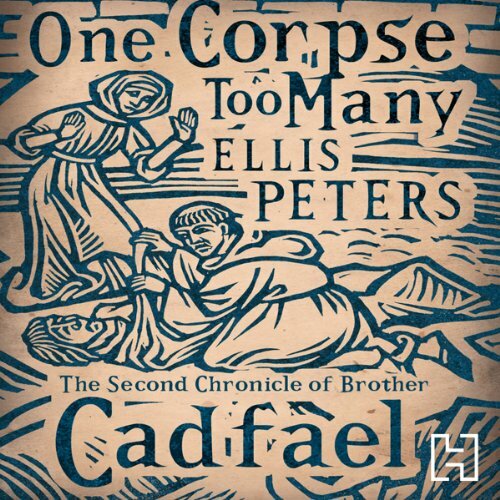 Now Brother Cadfael's skills must ferret out a sickness, not of the body, but of a twisted soul - in the fifth Brother Cadfael Chronicle, a work that displays Ellis Peters' special genius at her best. 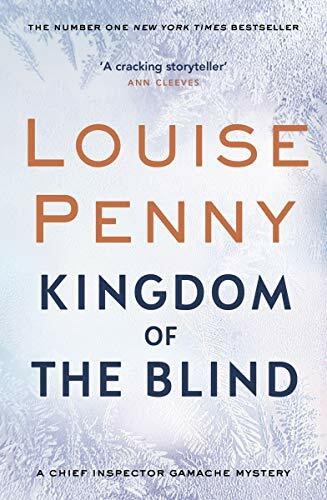 The war between Maude and Stephen fades into the background and other social elements absorb our attention: the presence of leprosy in England, the legacy of the Crusades, and the convention of marrying young women to elderly men. The plot was a bit predictable although when the murder occurred the identity of the murderer was not obvious. Cadfael uses both his skills of deduction and a little intuition to solve the case. The narration was a good solid effort but at times the voice was a bit soporific. It is 12 months since Detective Cardilini's wife died and he has well and truly dropped his bundle. Before Betty's death he had the reputation of hard bitten excellent detective but no more. Even his son Paul can't keep him sober and on track. There are threats to the continuance of Cardilini's career, already on the rocks, but he continues to follow tiny threads and eventually thinks he has worked out who did the shooting. Meanwhile his personal life appears to be getting back on track as he works on the garden that he has neglected for 12 months. Eventually his discoveries lead to an understanding of what caused the shooting, but also a dilemma about who to punish. 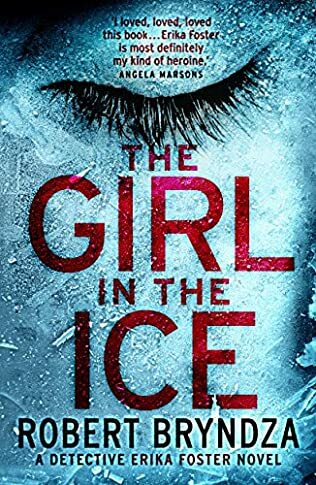 Eleven months after discovering a brutal double murder in a sleepy Northumbrian town, Detective Chief Inspector Kate Daniels is still haunted by her failure to solve the case. 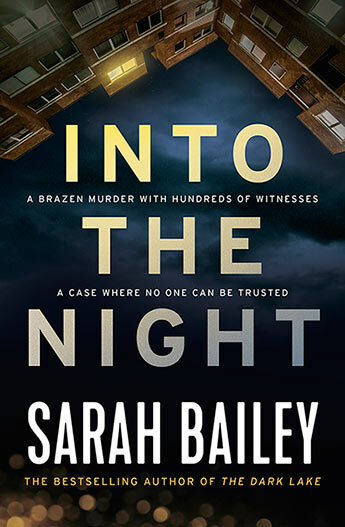 Then the brutal killing of a man on Newcastle's Quayside gives Daniels another chance to get it right, and her first case as Senior Investigating Officer. When Daniels recognises the corpse, but fails to disclose the fact, her personal life swerves dangerously into her professional life. But much worse, she is now being watched. Being appointed as SIO on this murder case gives DCI Kate Daniels an opportunity to give her reputation a boost after her failure to solve a double murder case from 11 months earlier. But her boss seems very reluctant to let her loose, besides which he has problems of his own. In addition Kate recognises the victim and should report that it, but she is afraid that will take her off the case. 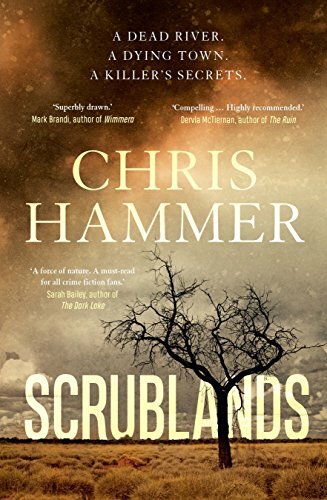 As time goes on more murders occur and it seems there must be a connection and the team desperately searches for it. The reader is made privy to the mind of the murderer so we work desperately too to discover his identity. A police procedural with a few twists. Mari Hannah, author of the Kate Daniels series and the Matthew Ryan series, has won the CWA 2017 Dagger in the Library. At a time when the CWA is expanding its support for public and independent libraries, I am delighted to congratulate Mari. Her DCI Kate Daniels books, set in the North East, are tremendously popular and we know they’re eagerly devoured by library goers and book groups. The structure of this novel turns it into demanding reading. It chops backwards and forwards across multiple time frames, designed to show the reader how Benedict Hitchens is brought low, but in actual fact disrupting the flow of the story. The time frames bring with them a number of plot strands with issues that did not always resolve. The final chapters of the novel read like an episode from an Indiana Jones movie and for me did not sit comfortably with the Benedict Hitchens I met in the first part of the novel. And then the final element of where Achilles' shield ends up is just pure foolishness. 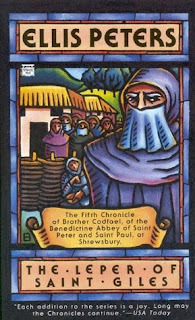 Gervase Bonel, with his wife and servants, is a guest of Shrewsbury Abbey of Saint Peter and Saint Paul when he is suddenly taken ill. Luckily, the Abbey boasts the services of clever and kindly Brother Cadfael, a skilled herbalist. 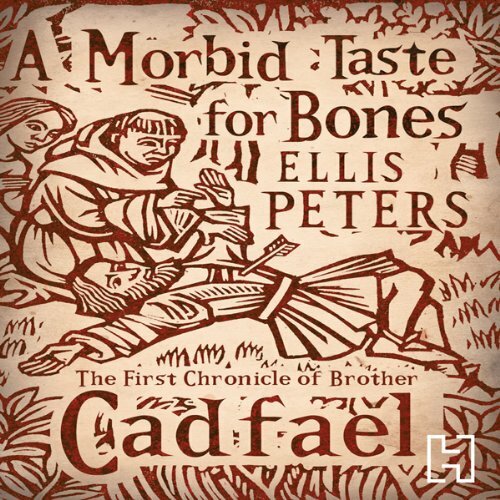 Cadfael hurries to the man's bedside, only to be confronted by two very different surprises. 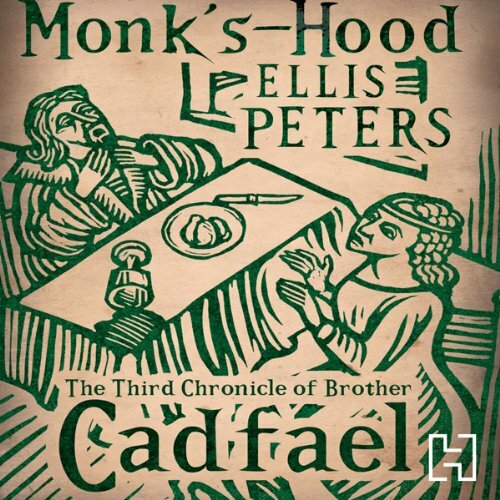 Another excellent narration by Stephen Thorne who brings Cadfael to life. Unfortunately it appears that he has only narrated three of the Cadfael series, so this is the last. A little more of Cadfael's past is revealed and there is a lovely assessment of the impact of the civil war on the Abbey as Father Heribert goes off to find out whether he will keep his position or whether Prior Robert will take over. Cadfael discovers who was responsible for the poisoning of Gervase Bonel and eventually administers his own form of justice. What an excellent writer Ellis Peters was, bringing this periods of English history to life. It is an invitation to you to write your own summary post for November 2018, identify your crime fiction best read of the month, and add your post's URL to the Mr Linky below. The format of this story is pretty predictable. 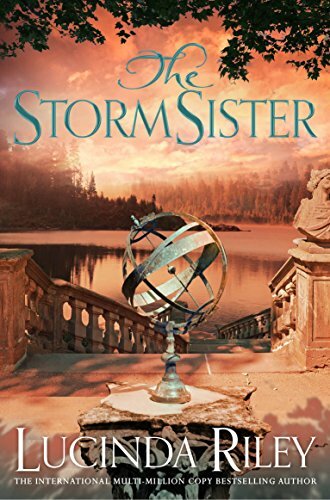 Ally is the second of the Seven Sisters to take on the challenge of discovering their birth place and heritage, a challenge left by their deceased adoptive father Pa Salt. He left each of them a letter, and the coordinates of the geographical location where they could start. In Ally's case he left her also a book to read and a little green frog. At first Ally has no intention of following the clues through, but her circumstances change and she feels the need to know who she is. The fact that I knew that the plot was to be Ally's present-day story and an investigation of her past, with all the mystery that contained, did not deter me. I have given it the label of "not crime fiction", but there is certainly plenty of mystery and a touch of romance. I must confess that I first of all borrowed the book from my local library but then, daunted by the size, I bought it for my kindle. But I'm now hooked. 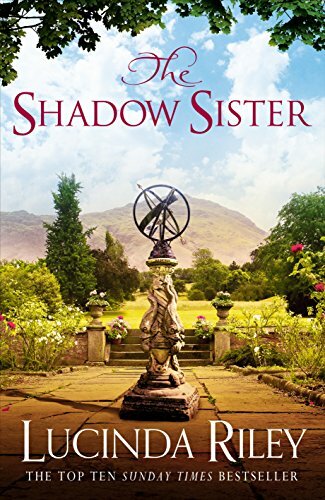 I want to read the next one, THE SHADOW SISTER, and I've bought it for my kindle. This is Gemma's second case in her new posting. The first was the murder of a homeless man, also stabbed, in a laneway.The pathologist's report suggests that the two murders are surprisingly similar but the investigating team can't connect the two victims. The action moves at a good pace, and the stresses in Gemma's new life are well described. Your grandmother, Hester Mary Westaway of Trepassen House, St Piran, passed away on 22nd November, at her home. I appreciate that this news may well come as a shock to you; please accept my sincere condolences on your loss. In accordance with the wishes of your late grandmother, I am instructed to inform beneficiaries of the details of her funeral. As local accommodation is very limited, family members are invited to stay at Trepassen House where a wake will also be held. This was an engrossing read with an almost Gothic feel to it. The Westaway family are not very welcoming to Harriet at the funeral, and even less so later when they learn that she has inherited a considerable part of the estate. They had not even been aware of her existence. But then Harriet sees photographs which make her question where she fits into this family after all. She had only hoped for a small legacy. The dead Mrs Westaway looms over this family - her will has unleashed issues that have to be resolved. In the summer of 1138, war between King Stephen and the Empress Maud takes Brother Cadfael from the quiet world of his garden to the bloody battlefield. Not far from the safety of the Abbey walls, Shrewsbury Castle falls, leaving its 94 defenders loyal to the empress to hang as traitors. With a heavy heart, Brother Cadfael agrees to bury the dead, only to make a grisly discovery: 95 bodies lie in a row, and the extra corpse tells Cadfael that the killer is both clever and ruthless. Stephen Thorne does such an excellent job of the narration of this story. 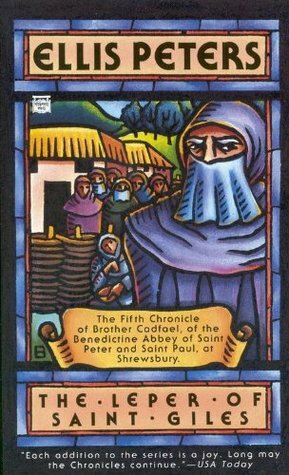 It is the first book in which we meet Hugh Berengar and Brother Cadfael's character is fleshed out. We also meet King Stephen in the flesh as he takes Shrewsbury Castle and prepares to move further into England. 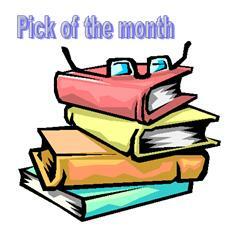 Ellis Peters feeds just enough historical detail into the story to bring the period to life. 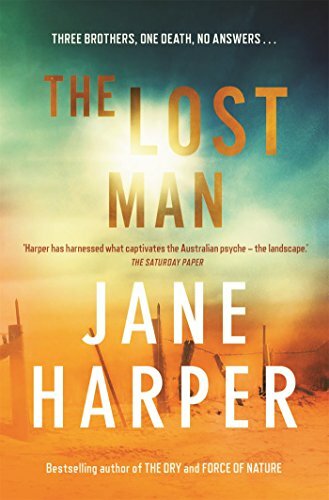 However, this case tests Dusty to the limit and she despairs of ever catching the callous killer who seems to be lurking nearby and yet...A gripping mystery imbued with the ambience of Australia—from the mysterious wood carving found with the body, the captivating characters of a small town, to the coastal splendour of the Southern Ocean. Journalist Dusty Kent is investigating the unsolved murder of Gabby Peters one year after the event, telling everyone she is writing a book. 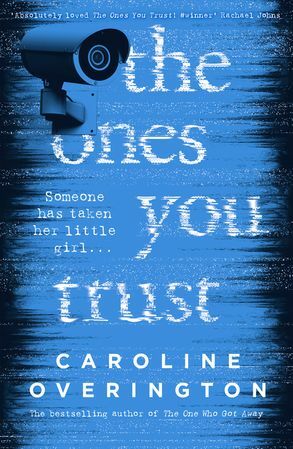 Together with recent arrival from Ireland Sean O'Kelly who is a super "online" hacker and sleuth, she interviews the entire town, trying to find out where everybody was when Gabby was killed. The method produces an overwhelming amount of information including some which the residents did not reveal to the police at the time when they were first interviewed. Dusty's methodology also has the effect of giving the reader a bewildering amount of data to sift through. An interesting start to what is now a series of 4 novels, in which O'Kelly appears to act as Dusty's Watson, recording the cases in his diary. I read this book on my Kindle but now can't find the Kindle version on Amazon.com. Brigid George is the pseudonym of JB Rowley; author of Amazon #1 Bestsellers 'Whisper My Secret' and 'Mother of Ten'. 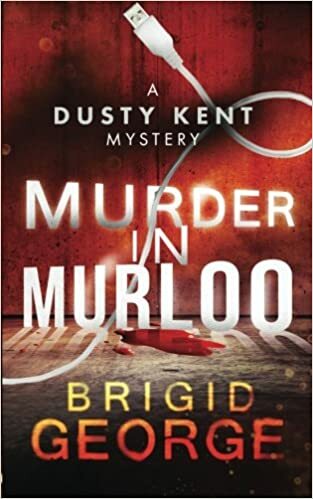 JB also writes children’s stories such as 'Wilhelmina Woylie' and writes the Dusty Kent Murder Mystery series (starting with 'Murder in Murloo') under the pen name Brigid George. It is a book with lots of little mysteries, because in this fractured family no-one really says what they think, because they are afraid. Why is Nathan Bright living in isolation on a small hopeless holding which is never going to amount to anything? Why hasn't he spoken to his younger brothers for over six months? Did someone kill Cameron or did he die of natural causes? Why is his car 9 km away from his body? It is a stand-alone so you don't have to read her earlier books, but I guarantee you will look for them. In 2014, Jane submitted a short story which was one of 12 chosen for the Big Issue's annual Fiction Edition.That inspired her to pursue creative writing more seriously, breaking through with The Dry at the Victorian Premier's Literary Awards in 2015. It is an invitation to you to write your own summary post for October 2018, identify your crime fiction best read of the month, and add your post's URL to the Mr Linky below.